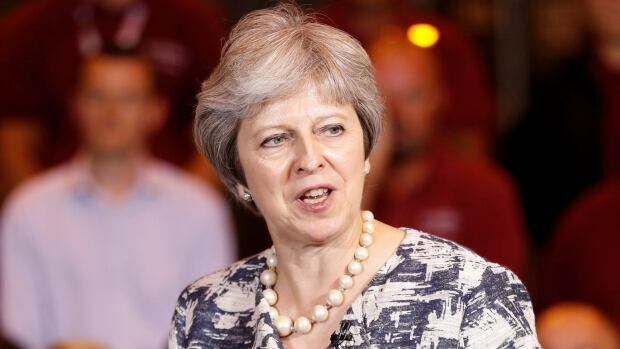 Britain's prime minister has again spoken against calls for a second referendum on Britain's decision to split with the European Union. With under two months before Britain and the European Union want to agree on a deal to end over 40 years of union, May is struggling to sell what she calls her business-friendly Brexit to her own party and across a divided country. After an initially skeptical reaction, the EU is formulating its response to the Chequers plan, which is designed to protect cross-border trade. Boxed in between those at home who would balk at further concessions and an EU negotiator demanding more concessions, May faces difficult talks ahead, followed by a vote in Parliament on whatever deal is reached. "I will not be pushed into accepting compromises on the Chequers proposals that are not in our national interest," May wrote in the Sunday Telegraph. Parliament returns from its summer break on Tuesday. "The coming months will be critical in shaping the future of our country and I am clear about my mission." May's plan would keep Britain in a free-trade zone with the EU for manufactured and agricultural goods. But some Brexit supporters have said that would mean parts of the British economy would still be subject to rules set in Brussels. David Davis, who resigned in protest over the Chequers plan after two years as May's chief negotiator, said the proposal was "almost worse than being in" the EU, and that May could use "national interest" as a caveat to justify further concessions.